Brighten the day of a loved one this holiday season! Join our social change movement. By donating to our cause, you are expressing your generosity, your compassion, and your kindness. For a $10 donation send some of the most influential I Am statement bookmarks to warm the heart of a special person. 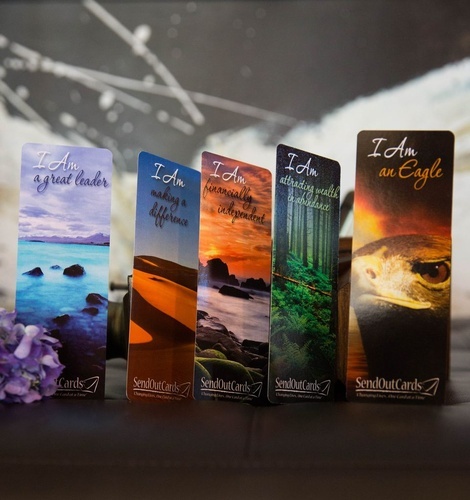 Stay inspired and inspire others to keep creating powerful messages by sending these collectible bookmarks today! For a $20 donation send the Live, Laugh, Love Journal and Journaling Cards and a Prosperity Key Token to warm the heart of a special person in your life. 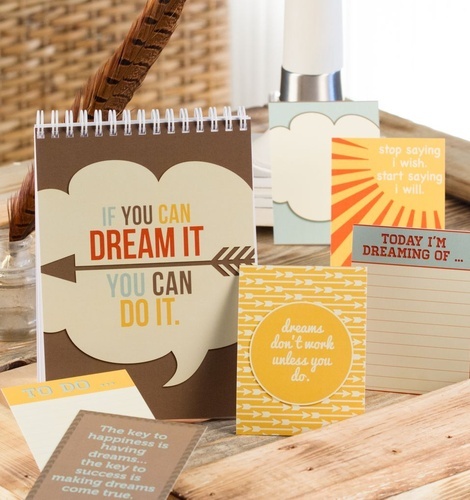 This stationery reads, “find joy in your journey, live simply, laugh often, love deeply.” If you’re looking for inspirational stationary to write your own inspirational words, thoughts, and ideas, look no further. For a $30 donation send the Dream It Journal and Journal Cards and a Prosperity Key Token to warm the heart of a special person in your life. Available with purchase of Live, Laugh, Love Journal and Journaling Cards and/or purchase of the Dream It Journal Cards. A key gives you the power to open and close doors. Bestowing keys to an individual shows trust and commitment in a business, family, or romantic relationship. This little silver key charm helps remind you that you have the power to open or close 'prosperity' in your life. To send a gift, make a tax deductible donation of $10, $20, or $30 and we will deliver your specially selected gift to your special someone. Please click the DONATE BUTTON and you will be redirected to Paypal for your donation. Specify the exact amount you would like to donate ($10, $20, $30, or more!). Then, be sure to come back to this page and fill out the form below to tell us where to send your special gift. We'll get your order in the mail as soon as possible. Send us the name of your special someone in the form below, adding their address in the "Comment" box.